San Diego, CA, November 05, 2012, 6:31 am -- /EPR NETWORK/ -- The Ticket Relief Online Traffic School and Defensive Driving Course is pleased to announce the success of the next chapter �Giving Back� charity campaign, as the preferred choice for satisfying traffic school on the Internet has joined forces with the organizers of the AIDS Walk And Run San Diego. Ticket Relief sponsored Gary Lee, a resident of the San Diego area, as he, along with over 8,000 participants, came together at San Diego's Balboa Park for the 23rd-annual AIDS Walk and Run, the biggest single-day fundraiser to raise money for the various HIV/AIDS organizations that serve the San Diego County area. The AIDS Walk and Run was founded in 1989, and has raised more than $8.5 million for organizations that help patients with the disease. Log on to the official website of the San Diego LGBT Community Center, located at http://www.TheCenterSD.org) for all of the information on how you can become involved in next year's AIDS Walk and Run San Diego. The 24th-annual walk/run will take place on Sunday, September 29, 2013. Ticket Relief was established in 2004 in heart of San Diego, CA and has grown to become one of the nation's leading online DMV traffic school and defensive driving course. Ticket Relief's goal is to provide users with the best up-to-date information and education, because the belief is that educated drivers lead to safer roads for everyone. 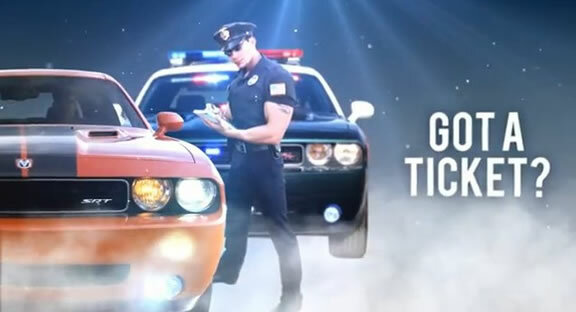 For more details on Ticket Relief and how to dismiss your traffic ticket online, log on to http://www.TicketRelief.com.